Huiji Fruity Lite is an all natural delicious cool drink made from high grade hawthorn fruit and honey, which can help “clear” excess oil and maintain freshness of your breath. According to medical journals, hawthorn fruit can help digestion, reduce lipid levels in the body, reduce bad breath and improve blood circulation. Many will have serious constipation problems after meals and Fruity Lite will definitely help you cleanse your system and enable your bowel movement easily. This product is manufactured using high tech methods using high-grade hawthorn fruit, Fructus Mume, honey and sugar . 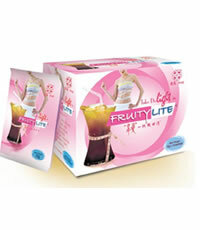 Without any artificial flavouring, Fruity Lite helps digestion. This entry was posted in Uncategorized and tagged Fr3b Singapore’s 1st Sampling Concept Store, Fr3b.com, free beauty samples, Free giveaways, free samples, freebies, HUIJI FRUITY LITE, S’pores 1st Sampling Concept Store, singapore free beauty samples, singapore’s 1st online sampling platform. Bookmark the permalink.